Sometimes you just need information in a hurry. And with a new labrador puppy in the house that may be one of those times. [wp_ad_camp_5]This article is about helping you get to grips with house training (or potty training) fast. We’ll sum up the principles and practicalities involved, look at factors that will help you, factors that will try to work against you and the steps you can take to get a great routine going from day one. You’ll also find links to some more ‘in-depth’ information below. Obviously we want our puppies to be clean in the house. We want them to learn to wait until they are outdoors before emptying their bladder or bowels. But this is not just about ‘learning’. It is about maturity too. We need to understand that tiny puppies have immature bodies and are not physically capable of waiting very long. There are two factors on your side in the potty training process. You can see that this last factor works both for and against you, in that it makes both weeing in the right place, and weeing in the wrong place, more likely to be repeated. When it comes to bladder control, fortunately your puppy improves with every day that passes, so this factor does not work against you forever. The same applies to the fact that the puppy has been removed from his nest, he will soon learn to accept his new nest. The puppy is learning the principle of extending the nest area, which he keeps clean instinctively, to include your entire home. Punishment is counter-productive in this process as it teaches the puppy to avoid emptying himself in your presence. 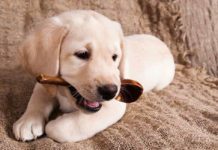 Rewards are helpful, but given the right routine, a puppy will naturally learn to be clean without them. This strategy applies to both ‘waiting time’ and access. The secret to successful house training lies in selecting targets that the puppy can achieve. 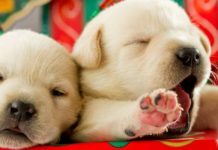 If your puppy sometimes needs to wee every 15 minutes whilst he is awake and active, you will have to take him outside every 15 minutes. As the puppy’s bladder begins to fill, he will empty it. He will do this before he physically ‘has to’. Just because he can. And because the sensation of a filling bladder is a new one. Your job is to teach him to wait a little longer. You do this by confining him for a short time, every time his bladder fills. You can confine him in his nest within a crate, or in your arms. He will be reluctant to wee in either location. If he wets himself, you have waited too long! You need to go outside with your puppy, and stay out there with him, each time he needs to wee. A tiny puppy is unlikely to empty himself on his own. This especially applies in cold or wet weather. Based around these practical requirements you can create your own house training routine. 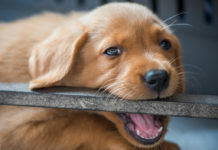 If at any time the puppy does not empty himself then confine him for another ten minutes and try again. As soon as he is regularly not needing to wee after thirty minutes you can extend the duration of free access to your kitchen. Provided you stick to these principles and strategies, the house training process, though quite intense for a short while, will pass smoothly. Don’t blame yourself if you are finding this difficult. Small puppies are hard work, and you don’t need to do this alone. 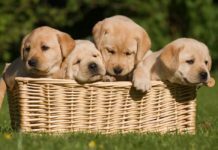 Join in our Labrador Forum for help and support. 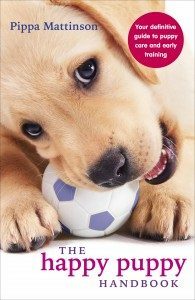 Check out our Labrador Puppies section for more help and advice on training your new Labrador puppy. My lad puppy is 5 months old and is doing great housetraining at night she only wakes me up once in the night. But most days she has 1 to 2 accidents a day. I got her when she was 11 weeks old so I got a slow start with housetraining. But I also think she’s being stubborn about housetraining. If you have any ideas for her being stubborn with housetraining please tell me. I’m about at my wits end with her. 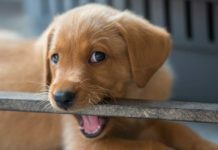 Hi Hanna, she isn’t being stubborn – here’s the article you need: https://www.thelabradorsite.com/15-puppy-potty-training-problems-solved/ Shorten the gaps between bathroom breaks until your puppy is successful and supervise her when her bladder is filling. A few days concentrated effort and you’ll be able to start stretching out those gaps again. Hello, I have a 6 month old lab and she has not yet received toilet training. I spent a lot of time trying her to wee outside but she has yet not shown any progress. Can you please help me out? 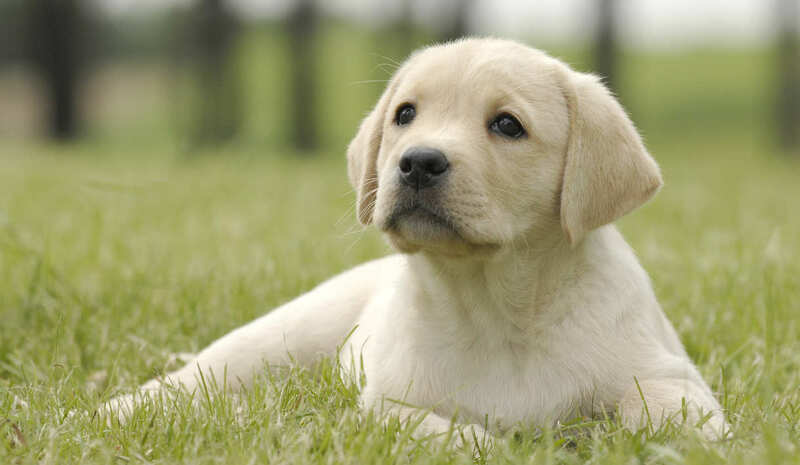 I’ve just taken my 9 week old lab to the vet for his first jabs, and mentioned the success I was having with this method of toilet training – she just about fainted and started telling me how puppy isn’t covered with his vaccinations yet and the risk of catching all sorts of nasties. I really don’t want to go back to training pads, we were having accidents all over the place, and to me it’s going back to square one. Who is right? First, I love this site and the information that you provide! It’s quite helpful. One of the best things I got to help house training my new pup was a bell for the door. My sister had one for her little toy dog and it worked well for her. I actually saw the PoochieBells advert on this site and got one of those. I picked up my little girl 6 days ago (a Valentine’s Day pup!) at 8 weeks old and she’s already learned that a nudge to the bell means she needs to go out to relieve herself. I don’t know if I got lucky with her or if this would be common with a lot of lab puppies learning to use the bell so quickly. She does still have the occasional “accident” or try to squat and go before I scoop her up and take her out (rining the bell on the way), but she’s letting us know a fair amount of the time now. I’d highly recommend giving it a try for anyone getting a new puppy! Hi pippa. I was wondering if you could help me, I did try to see if u had an email address that I could contact you privately but it would be great if you could just email me so I can write a more detailed message. I find your website extremely helpful and knowledgable. 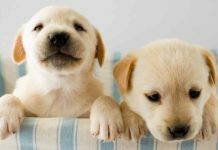 And as you are based in uk and have a wide knowledge of Labradors I wanted to ask your opinion on a breeder I am considering getting a puppy from. I do not want to put their name up here as I think it would be unfair. 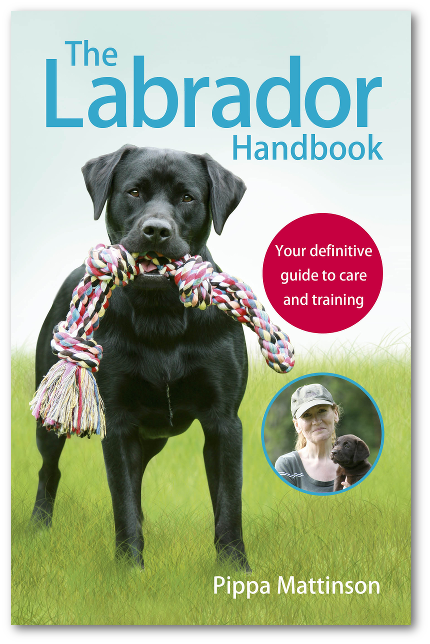 I am doing a lot of research to try my best to get a healthy happy labrador from responsible breeders but I am no expert. So your opinion would be great. Our 12-week old puppy has no problem holding his potty (both pee and poo) all night if he’s in the bed with us, but will potty in the kennel even if he’s only been in there an hour. We’ve restricted the amount of space he has, but he’ll still potty and then huddle in one corner (or just step in it). Any suggestions? What are the dimensions of your crate Kari? Hello, I have a 3 month old red cross lab, she is a rescue dog. We don’t know her background but I’m having trouble toilet training her. She seems to go more in the house than out. Pee and poo seems to be a regular present each morning. Is it just a case of continuing taking her out after each meal and every 40 mins? She has only been with us a week but she is 3 months old. Our 16 week old female black lab is great with housetraining during the day, with only the very occasional peeing accident. But at night she still produces one, if not two, poos as well as a puddle. We keep her confined to the kitchen with a baby gate and her last trip outside is at about 11pm. She is fed a good quality dry food and has never been punished for accidents. We are normally up and about by 7am if not slightly earlier. Are we expecting too much too early? Our border terrier was clean at 10 weeks! Any tips gratefully received. She doesn’t ‘get’ newspaper and our kitchen is not huge. She should be in a crate at night! Big enough for her to stand up and turn around in, but not so big that she can relieve herself in one corner and sleep in the other. My 4 month old loves his crate, he feels secure in it, and he won’t potty in it. Within a few weeks of having him, he could hold his bladder for 8 hours. Maybe once a week he’ll whelp in the middle of the night, but I just get up and let him outside and then he’s ready to go back to his crate and sleep the rest of the night.